How often are tours held? Tours in each location - Raleigh, Durham, Chapel Hill/ Carrboro, Hillsborough, Greensboro, and Winston-Salem - are offered almost every Saturday, all year ‘round. Tickets can be purchased on this website. Private weekday and weekend tours are available for any day or evening of the week and can be booked by calling 919.237.2254 or emailing info@tastecarolina.net. If a food tour is sold out, can I get on a waiting list? What if I don’t see a tour scheduled on a day I would like to go? We do not keep a waiting list because cancellations are rare. If you do not see your desired tour date on the schedule, please email us to let us know what date you are interested in. If you have a large enough group, we may be able to schedule a tour for you on your desired date. All food and drink tastings, restaurant gratuity, a guided tour of the area, and an all-around fun time are included in the ticket price. You may wish to purchase additional drinks or items at markets or specialty shops along the way. Gratuity for your tour guide is not included in the ticket price but is always greatly appreciated. Advance registration and purchase for weekend walking tours are required. Tours are limited to 12-15 participants and often sell out in advance. Tickets can only be purchased using a Visa, MasterCard, Discover, or American Express card on this website. If you are trying to book a tour the morning of the event, and registration is closed online, please call us at 919 237-2254 to check availability. Please contact us directly at 919 237-2254 or at info@tastecarolina.net to book a private tour. Do you offer discounted tickets for children, seniors, active military personnel or large groups? Currently we do not offer any discounted tickets. Once purchased, tickets cannot be refunded or rescheduled because we have reserved space for you on the tour and with the restaurants. What types of places will we visit and food will we be eating? You will visit restaurants, markets, bars, and specialty food shops that are locally owned by proud members and supporters of their communities. Many, if not all, of the chefs and artisans that you will meet are working hard to source their ingredients locally. Our tours include five to seven or more tastings. Generally, there is enough food served that most participants will be full by the end of the tour. Because the food is consumed over a three-hour period, we do recommend eating a late breakfast or light lunch prior to our tours. There is space on the registration form to list dietary restrictions and food allergies. We pass this information along to the restaurants in advance and most will accommodate these special requests. Please list your dietary restrictions and allergies in the space provided on your registration form so that we and the restaurants can accommodate your needs. We try to accommodate all requests, but there may be one or two places where your tasting is limited. Tours that start in the late morning or early afternoon will include a wine and/ or beer pairing or tasting at one or two of the stops. Tours that begin in the middle to late afternoon include more alcohol along the way. Underage tour-goers and people who do not consume alcohol will be provided an alternative option. Please write this request on the registration form where it asks for dietary restrictions. Additionally, most of the restaurants provide water or other non-alcoholic beverages and may also allow for the purchase of additional drinks. What else can I expect on the tour? Taste Carolina’s food tours combine history and architecture with plenty of walking, amazing food, and chats with chefs and owners. You will find the tours to be fun, educational, and delicious. Please consider reading our reviews on Trip Advisor, Yelp, and Google, or join in the conversation on Facebook or Twitter. Are your tours kid friendly? Children are welcome on the tours. Please bear in mind that our tours typically last just over three hours, involve anywhere from one to three miles of walking, and can involve significant amounts of standing. 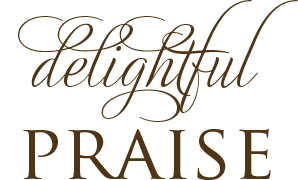 Please feel free to call us at 919 237-2254 so that we may recommend a tour that is most appropriate for your group. If your child will be participating fully in the tour, then a full-priced ticket will need to be purchased. If your child will not be eating or will be sharing food with you along the way, there is no need to purchase a ticket. In the notes section of the registration, please list the number of children who will be attending with you, whether a ticket has been purchased for them, and their ages. This helps us and the restaurants prepare accordingly. If I am bringing a child, do I need to purchase an extra ticket? If you are bringing a young child, and he or she will not be participating in any of the tastings or will be sharing food with you, you do not need to purchase a ticket. Please do let us know on the registration form that a child will be in attendance and list the ages so that we can plan for extra attendees. If your child will participate fully in the tastings, then you will need to purchase a full-priced ticket for him or her. Is the tour baby stroller and/or wheelchair accessible? Stroller and wheelchair access may be limited on certain tours, however we would like for everyone to be able to enjoy our tours. Please call us at 919 237-2254 to discuss which tours would be most appropriate for your group. Do the tours have anything to offer North Carolinians? Definitely! Most of our attendees are North Carolina residents, often accompanied by out of town guests. What better way to get to know or show off a city and its people than on a food tour? Tours generally last between 3 and 3.5 hours and cover up to three miles of walking, but at a very leisurely pace. If you have concerns about the amount of walking or the pace, please call us at 919 237-2254 or email us at info@tastecarolina.net so that we can recommend a tour that is most appropriate for your group. Our private tours are customized for each group. Many of these customized tours involve less walking. Tours are held rain or shine. Please dress appropriately for the weather conditions. In rare cases where severe or unusual weather conditions are expected, like snow or very heavy rain and wind, the tour may be cancelled and rescheduled. Will there be shopping opportunities along the way? The tour guide will let you know when and where it is appropriate to shop. Some of our partners sell specialty items and products like chocolate, coffee, desserts, wine and beer, kitchen goods, and novelty gifts. Time may be limited, so please check with your guide to be sure that there is adequate time to make purchases. In some cases, your guide may recommend that you wait until after the tour concludes to revisit those locations. The tour itinerary you will receive at the start of the tour will list the address, contact information, and hours of each stop. Yes. 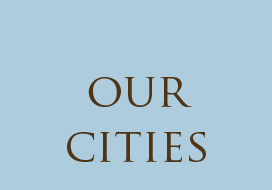 Most of the cities in which we conduct our tours offer free parking on the street and in parking decks on weekends. Details of where to park for each tour are listed online under the individual tour descriptions and as part of the registration process. Does the tour end at the same place we start? Our tours usually end close to where we started. On some tours, the tour guide will lead everyone back to the starting point at the conclusion of the tour. Yes, bathrooms are available at most, but not all stops on the tours. The tour guide will let the group know where restrooms are available. We do recommend that you use the facilities before meeting up for the tour, so that we can stay on schedule and maximize our tastings! Yes. Cameras and filming are allowed during the tour. We encourage participants to take photos during the tour as long as it does not hinder the tour schedule and as long as the restaurant, food shop, or bar allows it. Yes, gratuities are greatly appreciated. Standard gratuity in the service industry is 18%. Are there other ways to show my appreciation for a great tour? Yes, we love reviews! You may review your experience on Trip Advisor, Yelp, or Google, or join in the conversation on Facebook or Twitter. Yes. A food tour is a wonderfully unique gift! 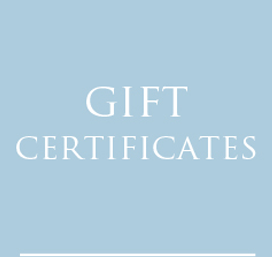 Please visit our the Gift Certificates page on this website to learn more about purchasing a gift certificate. Yes. Most of our private tours are customized for each group. Tours can be made available for your group by contacting us via phone at 919.237.2254 or email info@tastecarolina.net with your request. Please let us know the date and time you wish to take a tour, the number of people you will be bringing, and the city you wish to tour. 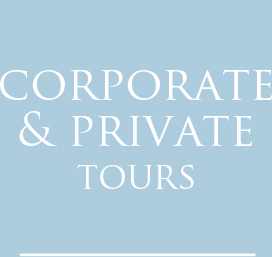 Please see our Corporate and Private Tours page for more information about private and custom tours.